Spray dormant oil on all evergreens to protect them from insect damage. Remove low hanging and damaged limbs from trees. Prune away some of the crowded limbs along the trunk of Bradford pear trees. Plant balled and burlap trees. Remember to plant in a hole at least 2 times the size of the root-ball. 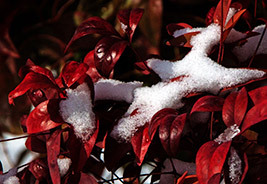 You can prune most shrubs and trees from now until March. Spring blooming shrubs like azaleas and spiraea should be pruned after they flower in the spring. If you prune these plants now, you will cut off the flower buds. Roses should be pruned in mid-February. Take hardwood cuttings from deciduous trees and shrubs; dip cut stems in rooting hormone powder, and plant in equal parts sand and vermiculite; keep moist. Plant woody vines like jasmine and American wisteria trellises and arbors. Cut off dry stems and foliage of hostas, purple coneflowers, black-eyed susans and other perennials. Cut back chrysanthemum to about 6 inches. Have row covers or burlap ready to protect camellias, jasmine, and fig trees if temperature threatens to drop below 20°F. Check your stored bulbs for signs of disease and discard. If any are beginning to shrivel, they are too dry. Place them in a container with potting medium, peat moss, or sawdust to stop the loss of water. Cover strawberries with a floating row cover—they’ll fare better over winter and bear earlier next spring. 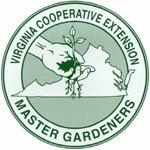 Order seeds for spring planting. Clean and sharpen lawn and garden tools and store them in a dry storage area. Check belts and spark plugs change the oil, sharpen the blades and clean off dirt so equipment will be ready to go when you need it next spring. Drain the fuel tank of the lawn mower, tiller and other power tools before putting the machine away for the winter. Put out bird feeders—sunflower seed is recommended for general feeding. When Christmas is over, recycle your tree by cuttting off branches to use as insulation over perennials. In spring, chip or shred branches to create mulch. Or move your tree outside and redecorate for the birds! Place the tree in a bucket full of damp sand, Decorate with strings of popcorn and cranberries, apples, oranges, and leftover bread. Pine cones covered with peanut butter then dipped in birdseed can also be added. For best results, place the edible ornaments well into the tree. A bonus—your Christmas tree can provide for winter protection for birds.